A disposable razor can really save you if you’ve forgotten your daily shaver. However, do you know what the best disposable razor is? You don’t want to grab a low-quality one because it will make things worse. Your patchy beard might look better than a bunch of cuts and nicks! 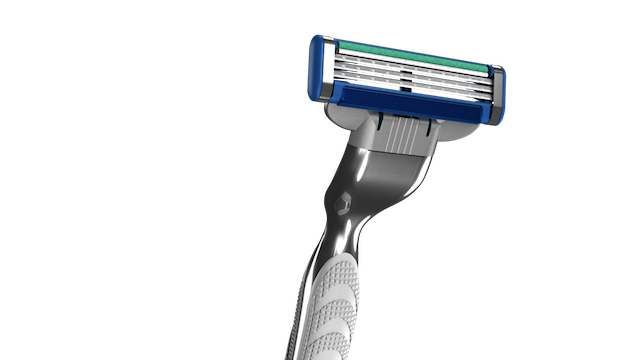 Rather than risk razor rash, check out the best disposable razor for you below. Not only did we test some razors, we also compared a ton of user reviews to give you an unbiased look at the top contenders. A disposable razor allows you to experiment and try out different products with a lot more confidence. If you do not like it, you can simply ‘dispose’ of it. But this doesn’t mean disposable razors won’t give you results! The best disposable razor is sharp, affordable and gives you a clean shave (without the rash!). A smooth face is a kissable face, after all! You need the right razor to keep your dating game on-point — so let’s dive in. 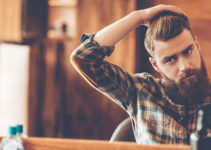 No matter what the length of your facial hair, you do need to put in some effort to make it seem groomed. Even with a disposable razor, you can do a fine job of keeping your facial hair stylish. In fact, the best disposable razor will make you more appealing to women. They love a smooth face! It shows you are a clean and well-kept person. Now, imagine showing up to a date with shaving cuts on your face or a patchy shave. It doesn’t take a genius to realize that your first impression is unlikely to be a good one. But what if you don’t want a clean-shaven face? Even if you have a beard, you’re likely to need a razor. Your neck and cheeks still need to be maintained! For the sake of general hygiene and for the convenience of those around you, a disciplined shaving habit is recommended. The following are some of the best disposable razors you can use. The products have been slotted into three different categories. The ‘best bang for the buck’ is the most value you will get for your money; the ‘best of the best’ is the best product available (and usually the most expensive); and the ‘best value’ is the cheapest but still workable option. The list has a little something for everyone! A great product for the price you are paying, this offering from Schick is lightweight and portable for all your grooming needs when you are on the go. The package contains a razor, two cartridges, an edging blade and also four titanium-coated blades. What’s great is that all Quattro razors fit all Quattro cartridges, so you can even buy the parts separately to replace a blade easily. No matter what happens, you can easily squeeze in a shave before dinner. The razor is easy to pivot and maneuvers around the shape of your face to give you a close, clean shave — perfect for getting close to your date! The titanium plating gives you a very smooth finish and is protective of your skin. Users have also reported that the razor is extremely long-lasting and can stand by you for at least 10 shaves, even if you have thick hair. Users also experienced minimal irritation on their skin after using this razor. This is the ‘best bang for the buck’ because not only is it good quality, it won’t dig a huge hole in your pocket. Save some money for your lady when you’re in a pinch and try this razor. Impressing someone with a clean shave has never been this affordable. The only drawback is, perhaps, that the razor is hard to clean. Other than that, the razor offers a pretty solid performance for not a lot of money. You can get the cleanest shave in fewer strokes with this disposable razor from Gillette. There are three progressively-aligned Mach3 blades which allow you to cover more area on your face with fewer strokes. The fewer strokes you need to take, the lower the chances of your skin feeling irritated. The blades are coated in Patented DLC (Diamond-Like Coating) that offer a clean, close shave. The open architecture system makes the razor easy to clean and rinse extra hair out. The spring-mounted pressure control system allows the blades to adjust to different types of skin. The blade also has a layer of lubrastrip which allows the razor to glide more smoothly on your face. The soft and protective microfins on the razor enable it to give you a more even shave. The design of the razor does everything in its capacity to ensure that you have a smooth and comfortable shave. This is the ‘best of the best’ because you can get the finest shave possible with a disposable razor for a little more money. It is the best disposable razor we could find — it always leaves your face feeling smooth and soft. 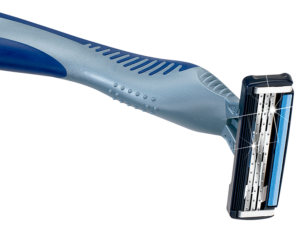 If you really like that girl, you should spring for the best razor. Less stubble and irritation means more touching! The only negative feedback we found is that the blades need to be replaced often. Even then, the razor is likely to last you at least 10 shaves, which is a lot more than several cheaper versions of this razor available in the market. 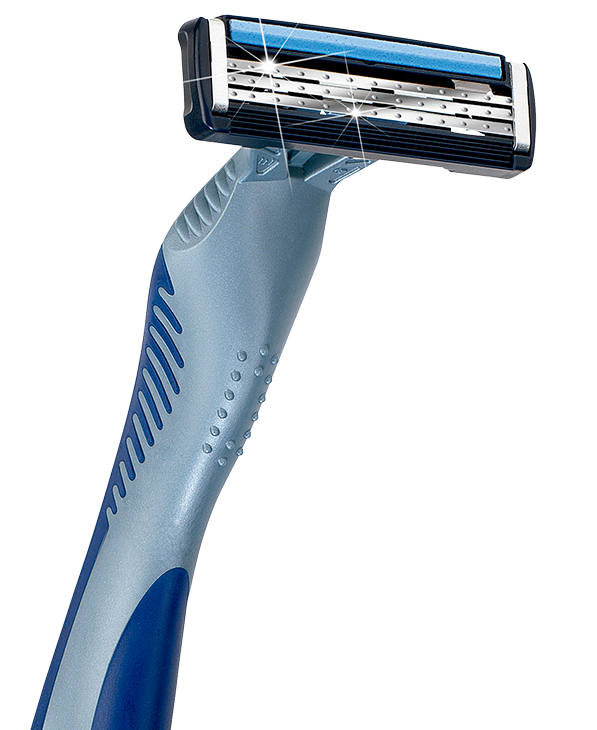 The razor comes with three flexible blades that offer a smooth, soft and close shave. The handle has an ergonomic design which makes it easy to control. The rubber grip allows you to maneuver the razor around with greater confidence. The razor also has a lubricating strip which ensures you get a smooth glide. The pivoting head allows the razor to move along the curves of your face and jaw and the contours of your skin. And this invites your special girl to run her fingers along there, too! The razor is 5.5-inches long, which is sufficient enough for establishing a comfortable grip. The package contains eight disposable razors. This is a decent bargain, but the set still does not contain titanium-coated blades and extra cartridges, like the Schick Quattro listed above. 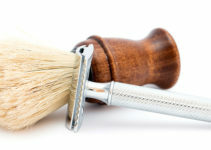 The razor does give a smooth enough shave for a razor that does not cost much, but the price difference between the ‘best bang for the buck’ product and the ‘best value’ product is only slight, so if you’ve got the extra cash to spring for it, you might as well. Budget razors often are harder on your skin. If you have sensitive skin, this may not be the best option unless you are pressed for cash. But if you looking to save a quick buck and are okay with using this razor temporarily, it is a suitable option. 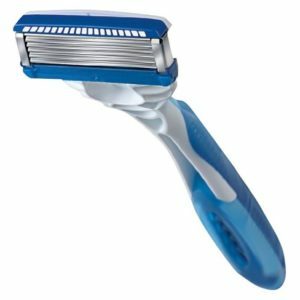 So What Is the Best Disposable Razor? A good razor is something an adult man should swear by, especially if they care about their appearance and turnout. If you are looking to step into the dating pool, you will need to take at least minimum care of your appearance. 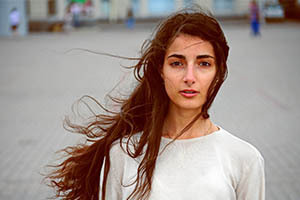 Of course, there is a lot that goes into dating apart from your appearance, but looking good for your date also reflects that you cared enough to put in the effort. So how do you get that perfectly smooth, freshly shaved look with a disposable razor?